Earlier this month I celebrated my 38th birthday. When I was younger and read “Before 40 Bucket-lists” that milestone felt so far away but now I can see it’s creeping up quickly. No doubt I will sit down and write a “40 Things Before I’m 40” list soon but meanwhile one thing I know I want to tick off my list is to watch more musicals in the West-end. I love the theatre, especially musical theatre and while I love watching productions on tour and also amateur productions nothing can beat the excitement of watching a musical in London. The great news is it’s also affordable thanks to sites such as Encore Tickets. Phantom of the Opera is my favourite musical of all time. I have loved it from a young age when I caught a recording of the live theatre show on TV starring Michael Crawford as the Phantom and Sarah Brightman as Christine (consequently they will always be my Phantom and Christine). I went on to buy the soundtrack and the book by Gaston Leroux ( I drew the line at the t-shirt!). 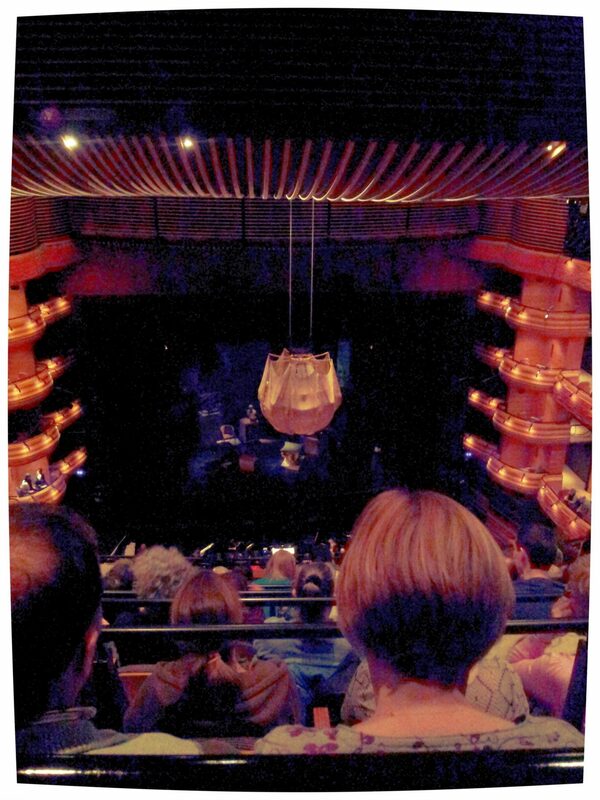 A dream came true when I finally got to see the touring production in Cardiff during Phantom of the Opera’s 25th year. It was incredible and spine tingling but I still vowed that I would see the show in London one day and now aim to see it there before I’m 40. A film version was also released in 2004 which introduced the musical to a new generation. Sadly, the sequel musical to Phantom of the Opera, Love Never Dies, never took off as well and was cancelled. This would have also made my bucket list if it was still running. 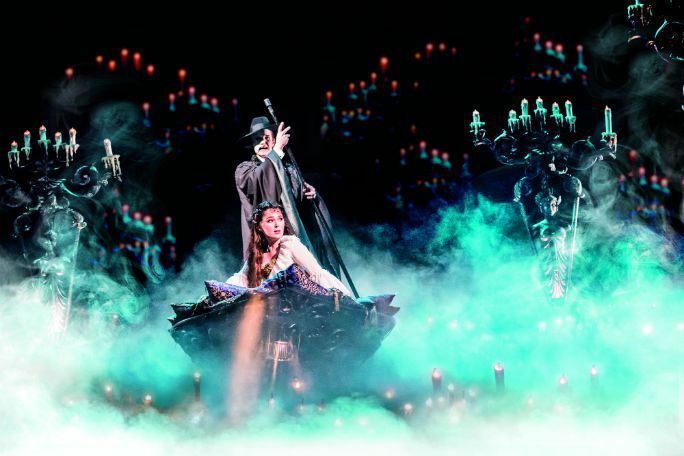 Incredibly, Phantom of the Opera is now in it’s 32nd year at Her Majesty’s Theatre. Over the years it has won many accolades including winner of both the Olivier Award and Tony Award for Best New Musical. It’s popularity shows no sign of wavering. My favourite songs include “All I Ask of You”, “Think of Me” and “The Phantom of the Opera”. Phantom of the Opera tells the heartbreaking love story of the distorted and deformed Phantom living beneath the splendour in an underground lair of the Paris Opera House. Tickets are available from £32. The longest running West-end musical is Les Misérables yet it’s another one that I have still not been to see in London. The motion picture version was released in 2012 increasing the popularity of this musical once more but there is n nothing like seeing the musical live at the Queens Theatre. 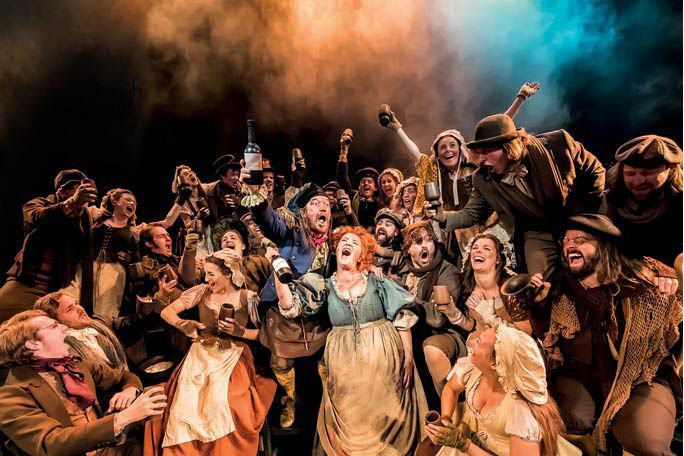 Les Misérables is a two-time Olivier Audience Award winner and has been produced in more than 44 countries. It features beautiful songs such as “I Dreamed a Dream”, “On My Own” and young Cosette’s “Castle on a Cloud” as well as the more raucous “Master of the House” and the morale boosting “One Day More”. Les Misérables tells the epic tale of one man’s struggle to break free from his past and create a new life for himself and his surrogate daughter in post-Revolutionary France, where discontent amongst the students boils over to create a powerful story of fraternity, equality and freedom. Tickets are available from £36. 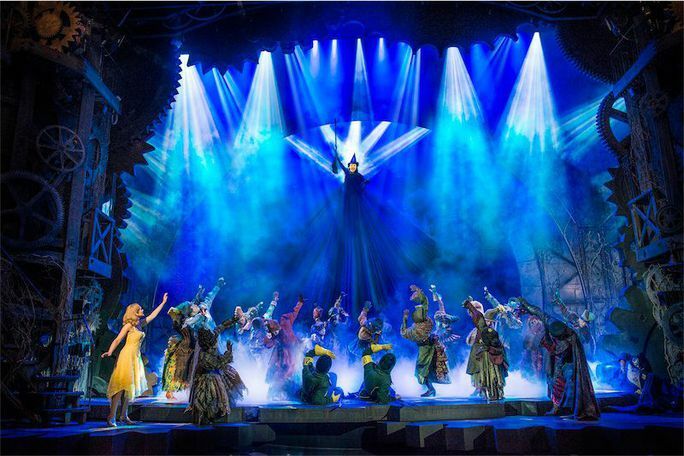 Wicked the Musical has been playing for over 12 years at the Apollo Victoria Theatre and immediately jumped into Musical lovers hearts as a firm favourite. It tells the alternate story of the Wizard of Oz but many watch it as a standalone story. This version gives Glinda the Good and Elphaba, the evil Wicked Witch of the West, their chance in the spotlight. With incredible effects and a strong story, Wicked will challenge your notion of good and evil. My all time favourite song in this musical is “Defying Gravity”. Tickets are available from £22. 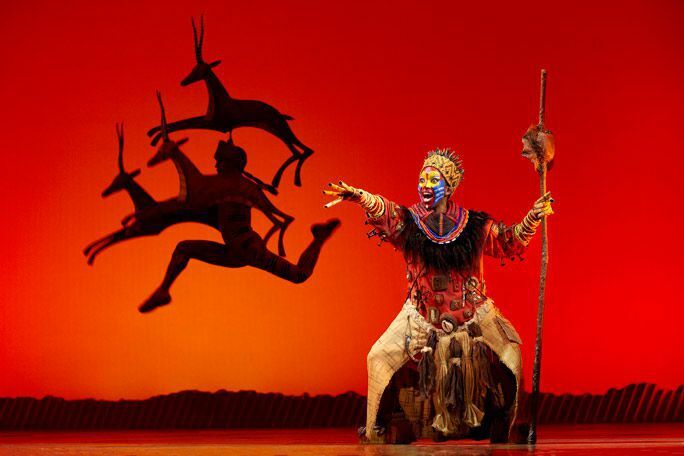 Disney’s The Lion King Musical has been running for 16 years at the Lyceum Theatre in London but is a new musical to enter my bucket list. Despite loving the film my heart wasn’t set on seeing the musical but since watching incredible clips from the show I am finally convinced. Disney’s The Lion King is definitely a great choice of musical to bring the kids to. A lion cub named Simba is born to King Mufasa and Queen Sarabi, the royal family of the Pride Lands. News of Simba’s birth thrills the animal kingdom, but there is one who is displeased: Scar, Simba’s uncle, who is jealous that his nephew will inherit the throne. This is one memory that families will never forget. Last but certainly not least, Matilda the Musical makes my bucket list of musicals that I’d like to see before I’m 40. Winner of 7 Olivier Awards, and 4 Tony Awards for its Broadway transfer, Matilda the Musical is nearly in its 7th year in the West End! Produced by the Royal Shakespeare Company and under the direction of Matthew Warchus, the show is based on the beloved children’s novel by Roald Dahl and features a score by comedian Tim Minchin and Dennis Kelly’s Tony award winning book. This tale of an extraordinary little girl who dares to take a stand and change her own destiny comes to life in a highly visual and imaginative way that will unleash your inner child and leave you enchanted. 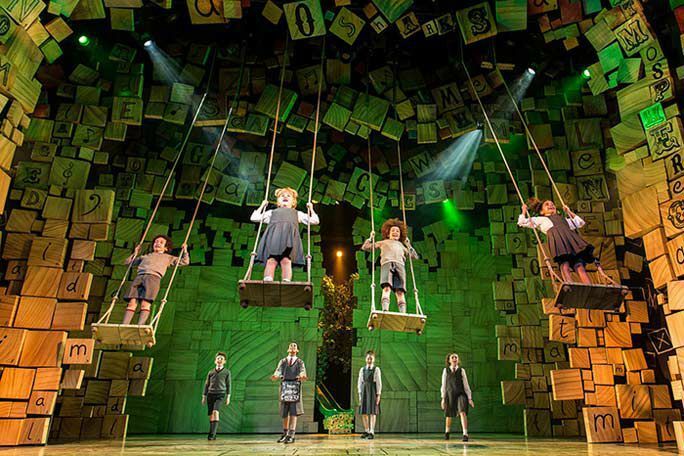 Matilda the Musical tells the story of it’s namesake Matilda Wormwood a girl who is born special. Reading books at the library by age five, she has an accelerated thirst for knowledge. Unappreciated by her vacuous parents, who show more interest in looks than books, Matilda’s astonishing wit, intelligence and psychokinetic powers are only noticed when she starts school at the renowned Crunchem Hall. Her new teacher, Miss Honey, sees the unique qualities in Matilda and the two quickly bond over their similar dysfunctional family lives but they first have to deal with Miss Trunchball. Tickets are available from £30. Have you seen these West-end muscials? Which London Shows would be on your bucket list? I’d love to know!